Sephora: Makeup, Polish & More for $3 Shipped + 3 FREE Samples! 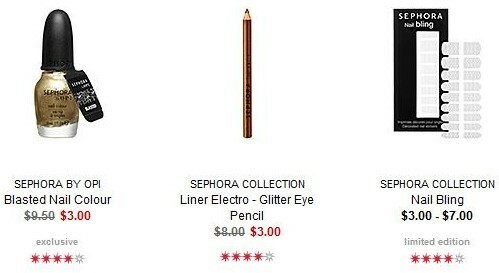 Sephora has a lot of great products on sale starting at just $3. Add a FREE shipping code, UPS2DAY, and you can score some great deals! On top of that, all orders receive 3 free samples of your choice. 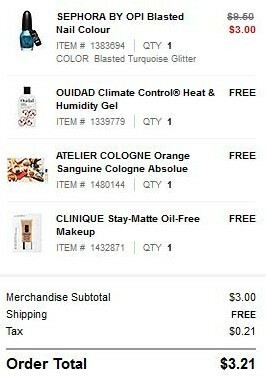 I was able to get some neat nail polish and 3 samples for only $3.21 shipped! The polish is regularly $9.50 and the shipping is 2-day shipping, so I'll get it in time for Christmas!